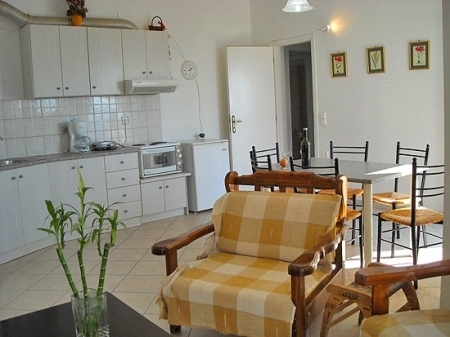 Ikaros villa 1 is located on the first floor. 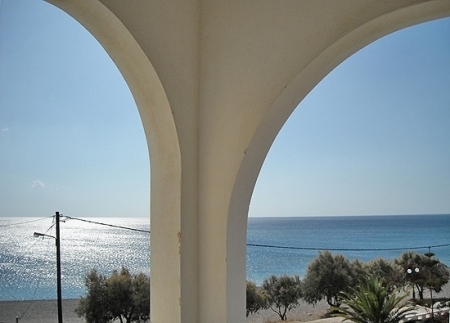 From the balcony, you can have a fantastic view to the sea. 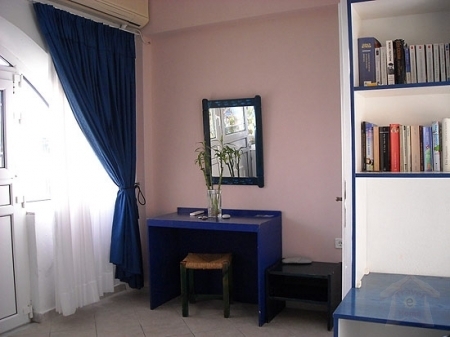 The 3 rooms apartment consists of 2 bedrooms, 1 living room with full equipped kitchen with fridge and coffee-maker, 1 full bath with bathtub, 1 WC and furnished balcony. In each room, there is air-conditioning. A satellite TV is available too. 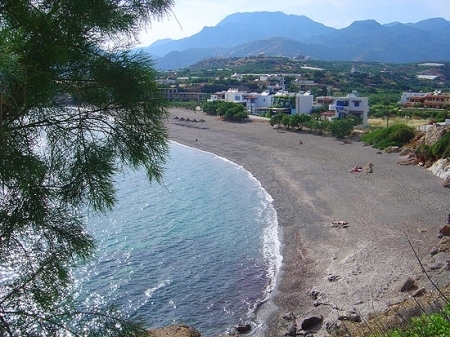 Here you can spend relaxing holidays by the sea and enjoyable sightseeing. 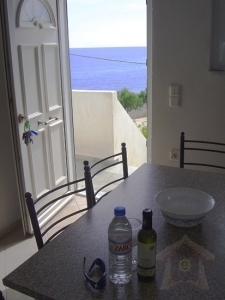 From the wonderful balcony you can enjoy your dinner or your drink in peaceful, looking the view to the horizon. The 2 bedroomed vacation apartment offers safety for the children. From the balcony you can have a fantastic view to the horizon, partially on the mountains. The 2 bedroomed apartment offers safety for the children. Special offers: 10% discount for the 2nd week for all year round. 30 % of the total price is required in advance.